I finally saw Hidden Figures last night. OMG it was absolutely exquisite! 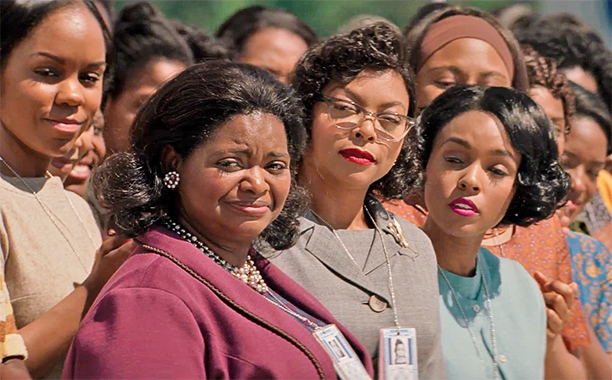 Taraji P. Henson, Octavia Spencer, and Janelle Monáe were all so, so brilliant. The story is incredible. Or, rather, the stories of Katherine Johnson, Dorothy Vaughan, and Mary Jackson—and all the Black women who worked with them at NASA during such a critical time. Could anything more perfectly indict racism/misogyny than the ability to imagine a man in space but not a woman in a meeting? Anyway! Here's a thread for anyone who would like to talk about the movie!